The pros and cons of the digitized Whitman and his “lost” novels. 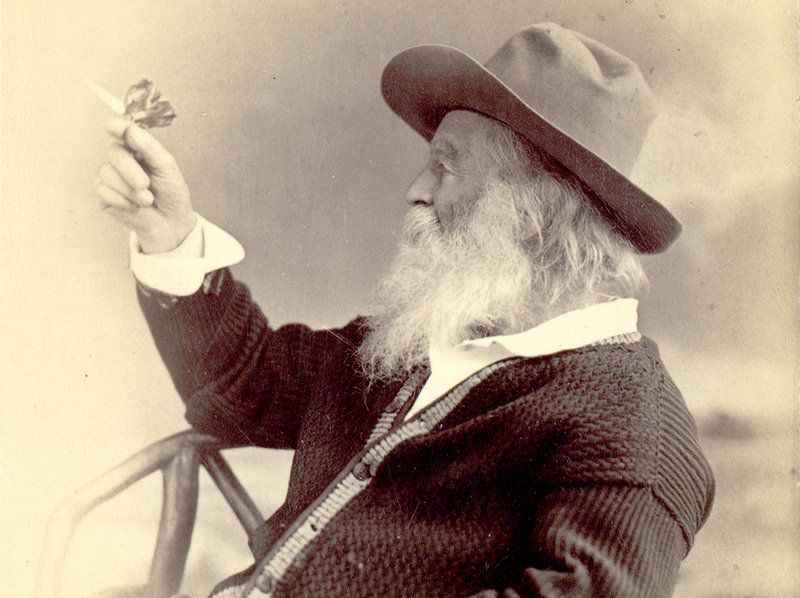 Walt Whitman with a butterfly, 1873. The digitization of archival collections has favored the striker. Searchable databases provide an exponential efficiency: one can now accomplish in seconds what once took years. Say you’re researching the brewing industry in the United States between 1850 and 1880. A logical starting point would be a careful perusal of the New York Times. Working at a rate of an hour per paper, eight hours a day, five days a week, reading thirty years’ worth of the Times on microfilm and scanning for periodic brewery references might take roughly four years. By contrast, searching the ProQuest Historical Newspapers database (owned by my university library) for mentions of brewer in the Times yielded 893 hits almost instantly. Did you know that, on December 24, 1879, four carloads of “bleached barley” arrived in Cincinnati from Chicago and was summarily rejected by an angry food inspector because the barley was “sulphurized”? Or that, on November 14 of the same year, one Peter Hauck, “a wealthy brewer of East Newark,” fell into a brewery vault and the outcome was “apprehended to be fatal”? Well, ninety seconds ago, neither did I. The radical efficiency of the digitized archive has motivated scholars to design research agendas around searchable terms. You’d be a fool not to. Most of these academics grind out books and articles that are more comprehensively documented than they would have been twenty years ago. Such source accumulation swells footnotes and bibliographies, but ultimately it’s just more frosting on the same cake. More intriguing, though, is the way a small cohort of researchers is combining an archive-rat disposition with surgical-strike technology to become scholarly conquistadores. Colonizing archival landscapes with scrolls and clicks, they mine every seam they find for troves of undiscovered wealth. Academics, hewing to their databases, have entered an age of discovery. Turpin’s coup has inherent popular appeal. The American temperament, even in matters literary, lights up instantly at the prospect of discovery. Much as we celebrate a new copy of the Declaration of Independence without ever having read the Declaration of Independence, we laud an addition to the Whitman oeuvre without much understanding the preexisting Whitman oeuvre. Discovery and acquisition are self-affirming qualities; they fuel the commercial quest for expanded choice while satisfying the media’s imperative for originality and surprise. It seems better to be able to ask, Should I read The Adventures of Jack Engle or Leaves of Grass? than not. Even the most well-educated Americans don’t read Whitman with any regularity, and the discovery of Engle will hardly change that. But we’re sure as hell thrilled to have this guy Jack on our map. It’s kind of like never visiting Alaska but still being proud that it’s part of the country. It is. But over the past two years, Turpin’s eureka moments have marked the only time that many Americans have considered Walt Whitman, whom Thoreau called “the greatest democrat the world has ever seen.” I ask this question knowing it’s a little unfair, but with American democracy under siege, do we need to scour the archives for more hidden Whitman, or should we instead figure out how to better read the Whitman we have—and teach others how to do the same? However inadvertently, the celebration that attends discoveries like Turpin’s can dampen whatever quixotic hope existed for a national internalization of literary greatness. Ireland experiences Ulysses with an almost civic pride, holding the novel up as an essential part of the national identity. We should do the same with Whitman. The tolerance, awe, and dignity infusing, say, “Song of Myself,” a poem I listened to in paralyzed silence on November 9, 2016, seems harder to appreciate in Jack Engle’s choppy wake. Turpin politely rejects my zero-sum literary interpretation. He told me, “I tend to think that Whitman never truly goes away. He always tends to be there. He’s woven into the American fabric; he’s inescapable.” The novel, in essence, is just further proof of the man’s hurly burly ubiquity. If we don’t tap into Whitman, it’s our own damn fault. Naturally, other Whitman scholars, who thrive on such discoveries, if only for the pugilistic purposes of academia, agree that we need this novel. 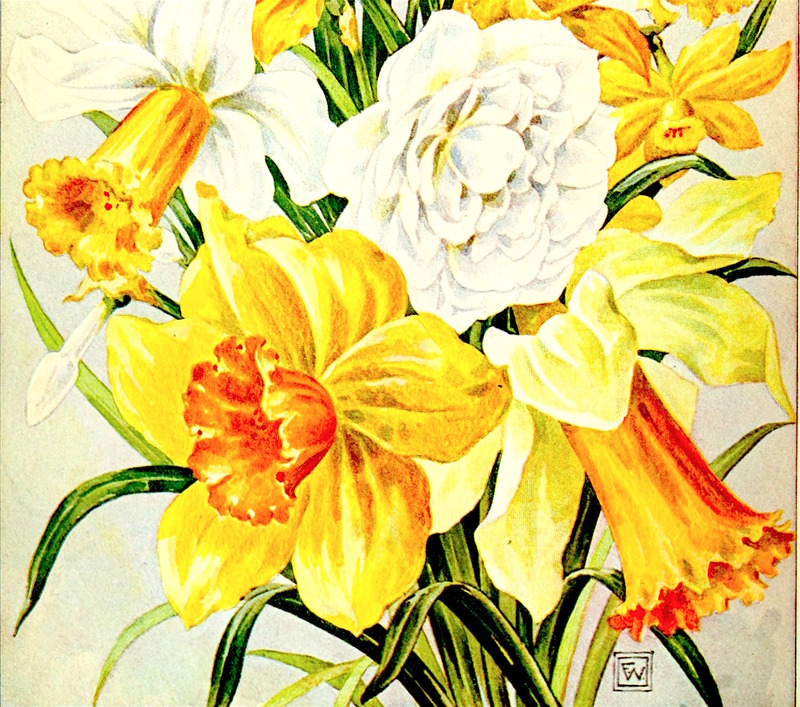 The fictional Jack Engle enables them to kick a bygone era of Whitman criticism in the teeth. If there was one commonly accepted critique of Whitman by the doyen of twentieth-century literary scholars, it was that the Good Gray Poet was too absorbed in his own song to write one for somebody else. “In Whitman’s works,” wrote George Santayana, “there is … not a single character nor a single story.” The fact that this claim—long accepted as conventional wisdom—is no longer true more than justifies Turpin’s discovery. As Turpin says, it reminds us that the spirit of Whitman lurks in every corner of the nation’s literary soul. Still, it’s hard not to feel perplexed about Walt’s reputation as technology and scholarly fortitude converge to hone in on his secret work. When I read The Life and Adventures of Jack Engle, it seemed obvious why Whitman had published it anonymously. The novel is essentially a formulaic blend of period-piece tropes and Horatio Alger moralizing. In terms of a literary contribution, it adds nothing. It was the bland stuff that newspapers paid for, payments that Whitman needed to underwrite poetry that would transform poetry. (Leaves of Grass was self-published on July 4, 1855.) Whitman edited his life as if it were a poem. As much as he would have preferred to burn the work he didn’t want others to see—as did his self-censorious contemporaries Melville, Hawthorne, and Dickinson—he had to publish it and trust that newsprint would hold his secrets. For more than 150 years, it did—a good run. Literary scholars and historians exist in part to demythologize the past; it’s our job. As much as I wish there were a decent argument to prevent Turpin and others from using technology to knock the myth off of Whitman, there’s not. But, since it’s out there now, read the unearthed Whitman novel yourself. You might find that the satisfaction of knowing the full truth about Whitman is rapidly ephemeral. You might even find yourself a literary advocate of a post-truth culture, wishing to preserve the myth of a purified Whitman rather than knowing the larger extent of his writing career. Perhaps, in an effort to forget, you might even read Leaves of Grass. How poetic that would be. James McWilliams lives in Austin, Texas.